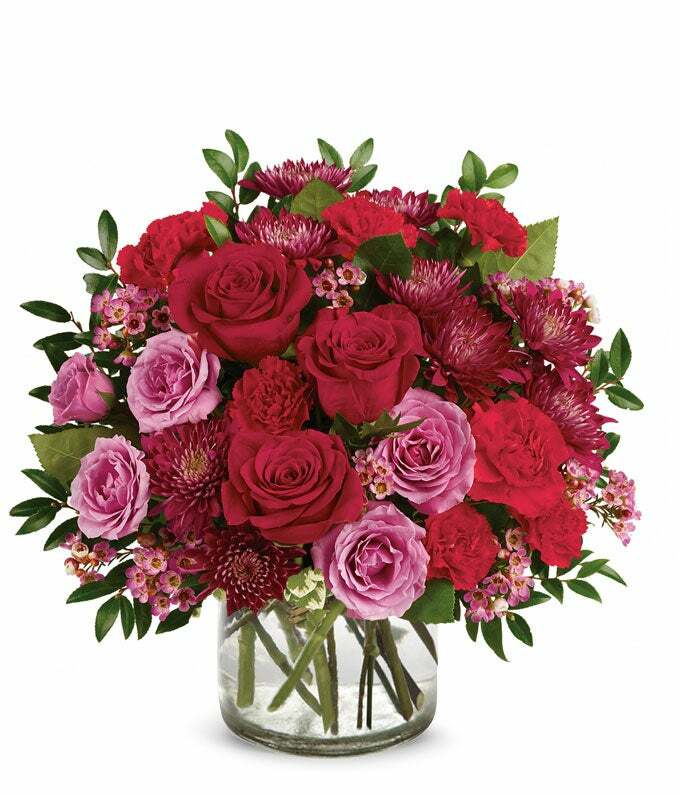 Send love this Valentine's Day with this crushingly beautiful bouquet of red and lavender florals. You will not disappoint as she opens the door and sees a local florist has delivered this wonderful arrangement to her doorsteps! Flowers can send a message of love and affection that are better than words.